This slider is meant to work with Regaliz 10mm flat leather. Slide it on for personalized style everyone will notice. Alphabet sliders are great for adding meaningful initials, names, words, and phrases to designs. You'll love the custom flair they add. The versatile silver shine will complement any color palette. Use this letter W slider in your designs today. This slider is meant to work with Regaliz oval leather. Slide it on for personalized style everyone will notice. Alphabet sliders are great for adding meaningful initials, names, words, and phrases to designs. You'll love the custom flair they add. The versatile silver shine will complement any color palette. Use this letter V slider in your designs today. This slider is meant to work with Regaliz oval leather. Slide it on for personalized style everyone will notice. Alphabet sliders are great for adding meaningful initials, names, words, and phrases to designs. You'll love the custom flair they add. The golden gleam is perfect for classic color palettes. Use this letter L slider in your designs today. This slider is meant to work with Regaliz 10mm flat leather. Slide it on for personalized style everyone will notice. Alphabet sliders are great for adding meaningful initials, names, words, and phrases to designs. You'll love the custom flair they add. The versatile silver shine will complement any color palette. Use this letter E slider in your designs today. This slider is meant to work with Regaliz oval leather. Slide it on for personalized style everyone will notice. Alphabet sliders are great for adding meaningful initials, names, words, and phrases to designs. You'll love the custom flair they add. The golden gleam is perfect for classic color palettes. Use this letter D slider in your designs today. This slider is meant to work with Regaliz 10mm flat leather. Slide it on for personalized style everyone will notice. Alphabet sliders are great for adding meaningful initials, names, words, and phrases to designs. You'll love the custom flair they add. The versatile silver shine will complement any color palette. Use this letter M slider in your designs today. This slider is meant to work with Regaliz 10mm flat leather. Slide it on for personalized style everyone will notice. Greek letters are frequently used in sorority and fraternity names. Use this slider to add personal flair to your school spirit. The versatile silver shine will complement any color palette. Use the Xi slider in your designs today. This slider is meant to work with Regaliz 10mm flat leather. Slide it on for personalized style everyone will notice. Greek letters are frequently used in sorority and fraternity names. Use this slider to add personal flair to your school spirit. The versatile silver shine will complement any color palette. Use the Theta slider in your designs today. This slider is meant to work with Regaliz 10mm flat leather. Slide it on for personalized style everyone will notice. Alphabet sliders are great for adding meaningful initials, names, words, and phrases to designs. You'll love the custom flair they add. The versatile silver shine will complement any color palette. Use this letter L slider in your designs today. This slider is meant to work with Regaliz oval leather. Slide it on for personalized style everyone will notice. Alphabet sliders are great for adding meaningful initials, names, words, and phrases to designs. You'll love the custom flair they add. The versatile silver shine will complement any color palette. Use this letter Q slider in your designs today. This slider is meant to work with Regaliz oval leather. Slide it on for personalized style everyone will notice. Alphabet sliders are great for adding meaningful initials, names, words, and phrases to designs. You'll love the custom flair they add. The versatile silver shine will complement any color palette. Use this letter Y slider in your designs today. This slider is meant to work with Regaliz 10mm flat leather. Slide it on for personalized style everyone will notice. Alphabet sliders are great for adding meaningful initials, names, words, and phrases to designs. You'll love the custom flair they add. The versatile silver shine will complement any color palette. Use this letter C slider in your designs today. This slider is meant to work with Regaliz 10mm flat leather. Slide it on for personalized style everyone will notice. Number sliders are great for adding significant dates, like birthdays or anniversaries, to your jewelry. You can also use them for player numbers in sports-themed jewelry. The versatile silver shine will complement any color palette. Use this number 7 slider in your designs today. This slider is meant to work with Regaliz 10mm flat leather. Slide it on for personalized style everyone will notice. Greek letters are frequently used in sorority and fraternity names. Use this slider to add personal flair to your school spirit. The versatile silver shine will complement any color palette. Use the Psi slider in your designs today. This slider is meant to work with Regaliz 10mm flat leather. Slide it on for personalized style everyone will notice. Alphabet sliders are great for adding meaningful initials, names, words, and phrases to designs. You'll love the custom flair they add. The classic gold shine is perfect for adding regal beauty to your projects. Use this letter P slider in your designs today. This slider is meant to work with Regaliz 10mm flat leather. Slide it on for personalized style everyone will notice. Alphabet sliders are great for adding meaningful initials, names, words, and phrases to designs. You'll love the custom flair they add. The classic gold shine is perfect for adding regal beauty to your projects. Use this letter R slider in your designs today. This slider is meant to work with Regaliz oval leather. Slide it on for personalized style everyone will notice. Alphabet sliders are great for adding meaningful initials, names, words, and phrases to designs. You'll love the custom flair they add. The golden gleam is perfect for classic color palettes. Use this letter J slider in your designs today. This slider is meant to work with Regaliz 10mm flat leather. Slide it on for personalized style everyone will notice. Alphabet sliders are great for adding meaningful initials, names, words, and phrases to designs. You'll love the custom flair they add. 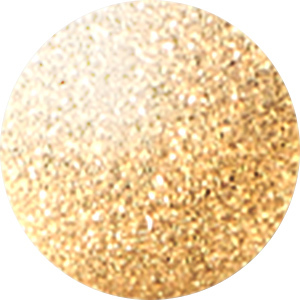 The classic gold shine is perfect for adding regal beauty to your projects. Use this letter I slider in your designs today. Please note that the same slider is used for both the number 1 and letter I characters. This slider is meant to work with Regaliz oval leather. Slide it on for personalized style everyone will notice. Greek letters are frequently used in sorority and fraternity names. Use this slider to add personal flair to your school spirit. It features a golden shine full of classic style. Use the Sigma slider in your designs today. This slider is meant to work with Regaliz oval leather. Slide it on for personalized style everyone will notice. Number sliders are great for adding significant dates, like birthdays or anniversaries, to your jewelry. You can also use them for player numbers in sports-themed jewelry. The golden gleam will add a classic touch to any style. Use this number 0 slider in your designs today. This slider is meant to work with Regaliz oval leather. Slide it on for personalized style everyone will notice. The ampersand is a symbol used to represent the word "and". It's great for joining phrases together in designs. The silvery shine is versatile enough to use with any color palette. Use this ampersand slider in your designs today. This slider is meant to work with Regaliz oval leather. Slide it on for personalized style everyone will notice. Greek letters are frequently used in sorority and fraternity names. Use this slider to add personal flair to your school spirit. It features a versatile silver shine that will work in any color palette. Use the Xi slider in your designs today. This slider is meant to work with Regaliz 10mm flat leather. Slide it on for personalized style everyone will notice. Greek letters are frequently used in sorority and fraternity names. Use this slider to add personal flair to your school spirit. The golden color is perfect for classic color palettes. Use the Pi slider in your designs today. This slider is meant to work with Regaliz 10mm flat leather. Slide it on for personalized style everyone will notice. Alphabet sliders are great for adding meaningful initials, names, words, and phrases to designs. You'll love the custom flair they add. The versatile silver shine will complement any color palette. Use this letter P slider in your designs today.